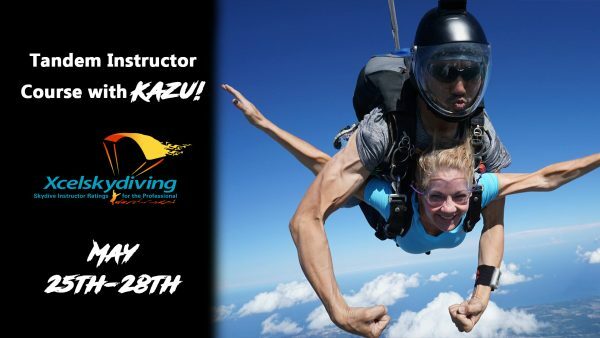 Come and get your tandem rating with Kazu Oyama of Xcel Skydiving! You must have 500 jumps, current USPA coach rating and membership, and completed ALL prerequisites on the tandem instructor proficiency card. $400 in course fees , as well as slots and USPA rating fee. A $100 deposit is required to hold your spot in the course. Your deposit will go towards your course fees.